Why I'm Always Broke: Just add water! I obtained myself a bottle of room temperature water, filled to the indicated line and bravely poured in the eggs. I’ll admit it. 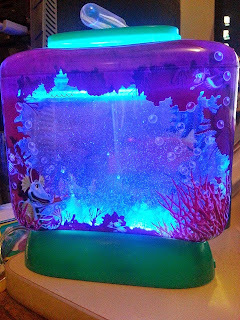 This is pretty DAMNED fancy with the lights on. Fingers crossed people! I intend to be the proud leader of an army of transparent beings by tomorrow! 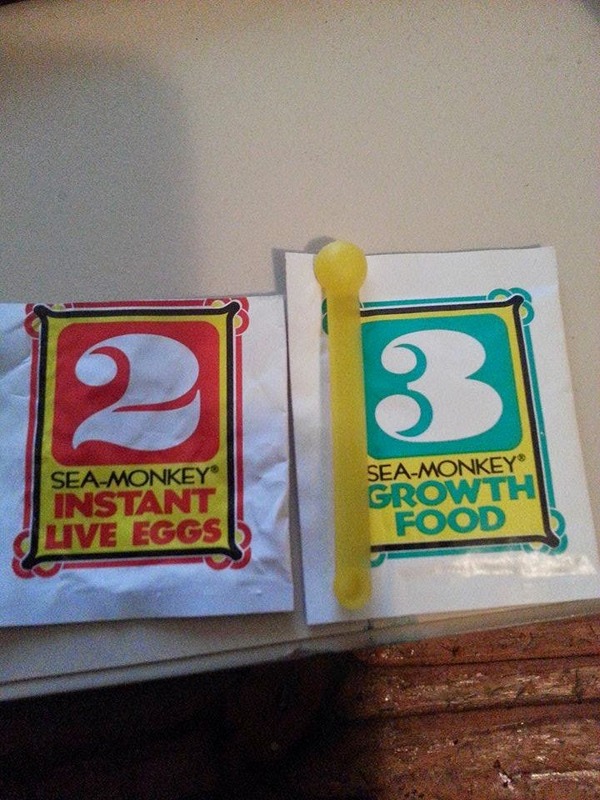 On a slight other note, here is a comparison of Sea Monkeys packets & Feeding spoon, versus Aqua Dragons packets & Feeding spoon. Above: Aqua Dragons packets Eggs & Food. 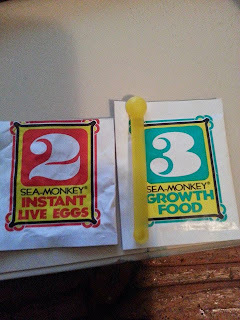 I don’t know if you have ever, like me, accidentally touched one of the Sea Monkey packets after playing with the tank and inadvertently gotten them wet? But they absorb moisture which destroys the contents. 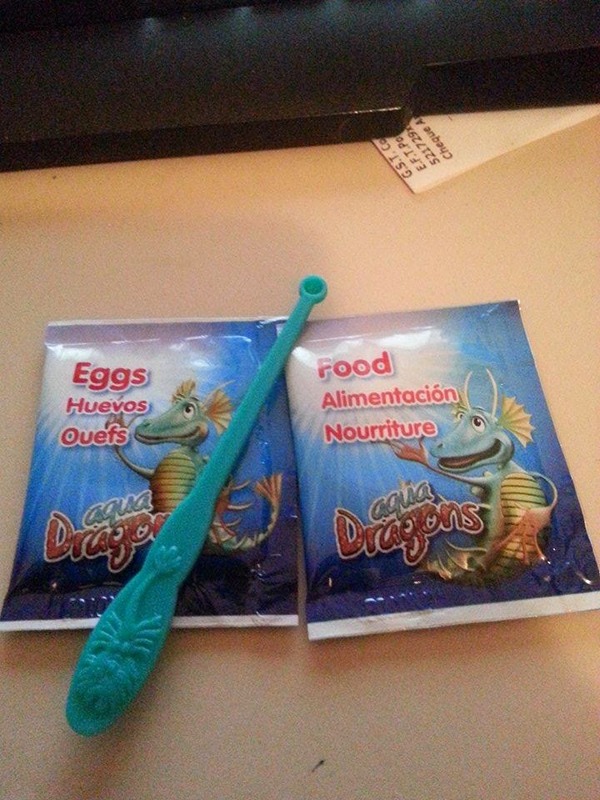 Even though I’m not a massive fan of the packets DESIGN on the Aqua Dragons, these are robust water proof feeling little baggies. I approve, Aqua Dragon people - I approve. Fresh Water and Feeding Time!